Obverse: bust of king right, star on left, star inside crescent right. Pahlavi legends. Reverse: fire-attendants with crescent headdress; year on the left and the mint on the right of them. 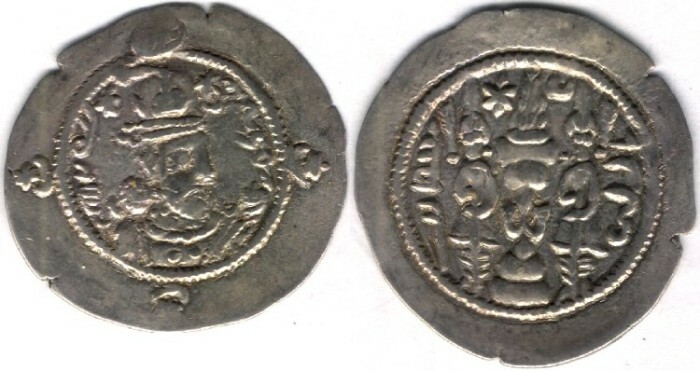 Item #2094 Sasanian (Ancient Iran), Ardeshir (Ardashir) I (AD 224-242), Very RARE AE double-unit, good very fine.